Driving home one evening earlier this summer, I noticed a lot of water in roadside ditches after a sizable storm rolled through the area. I thought it would be a great opportunity to see if there were any visible differences from the farming practices I am implementing on my land. I had expected some difference, but was truly amazed at what I saw. Wildlife like these Sandhill cranes forage through crop residue in late spring. No till and cover crops not only protect water quality and improve soil health and productivity, but provide vital habitat and forage for wildlife. Let me first backup and explain. In my spare time I farm a few acres raising corn, soybeans, and wheat in Wisconsin. Two years ago, when I first purchased this land, I implemented two practices: no till planting and cover crops. No till, besides being defined mostly by what it doesn’t do, involves different planting, nutrient management, and weed control techniques that improve soil health and greatly reduce erosion. Cover crops are typically not harvested, help protect and improve soil health, and provide nutrients for commodity crops to use also resulting in reduced erosion and improved crop production. Both help wildlife by providing habitat and forage and reducing agriculture’s impact on water quality (for more information on these practices see this report). No till and cover crops increase carbon sequestration, provide more benefits to wildlife, and reduce erosion. It was specifically that last point why I went out in the rain a few weeks back. As I made my way down the road I noticed the water running off of my field was still clear. The soil and nutrients stayed in the field. But as I crossed the road it was a rather different story which became immediately apparent. 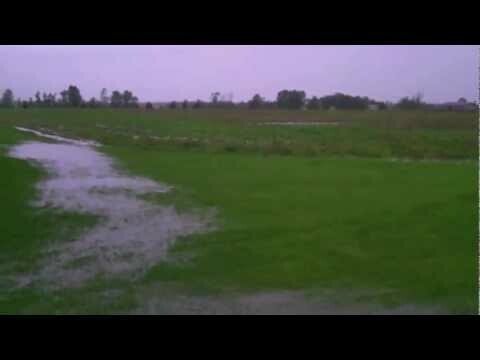 Runoff from my neighbor’s field (using conventional tillage practices) was a thick brown color, indicating considerable soil and nutrient loss—contributing to water quality issues for wildlife and downstream residents. If I can farm profitably and also protect habitat and water quality, it seems to me a rather easy decision. Yet, not all farmers use these techniques for a multitude of reasons. 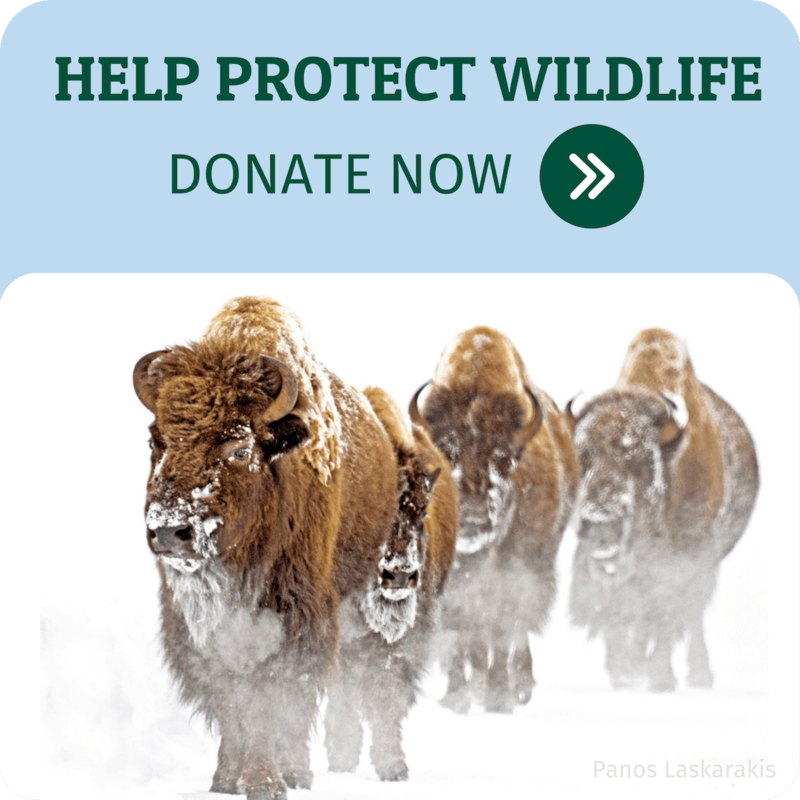 There are transition barriers, but conservation programs help. I have an Environmental Quality Incentives Program (EQIP) contract through the Natural Resources Conservation Service that helps defray some of the costs of implementing nutrient management and no till practices. Most farmers would agree conservation programs provide the biggest impact in protecting resources and are well worth it for farmer and taxpayer alike. This conventionally tilled farm field with massive erosion and nutrient runoff impacts wildlife and costs down stream residents. Perhaps most worrisome to anyone concerned about water quality, even simple conservation practices are not required for many subsidies; in fact, crop insurance subsidies currently require no conservation whatsoever. This isn’t fair to residents downstream who provide subsidies to farmers or to wildlife dependent upon the land for their food and nesting. In many parts of the country, these subsidies encourage the destruction of valuable grassland habitats, also leading to increased erosion. These newly converted lands are more likely to suffer lower yields and be prone to crop loss, only further raising costs for taxpayers while continuing to fuel the loss of threatened habitat. We need a farm bill that supports programs that help farmers transition to practices that conserve resources and provide multiple benefits. We also need provisions that ensure basic conservation is implemented in exchange for all farm subsidies and that subsidies do not encourage the destruction of valuable wildlife habitat. Please call your representative to ask them for a Farm Bill that includes conservation compliance reconnected to crop insurance premium subsidies, a national sodsaver provision, and more funding for conservation programs! Take action online: https://online.nwf.org/site/Advocacy?cmd=display&page=UserAction&id=1628 Better yet, with August recess upon us, meet with your representative or a staff member to discuss the value of conservation in the Farm Bill.